Darlington School: Remembering Life Trustee Al Briley Jr.
Remembering Life Trustee Al Briley Jr. 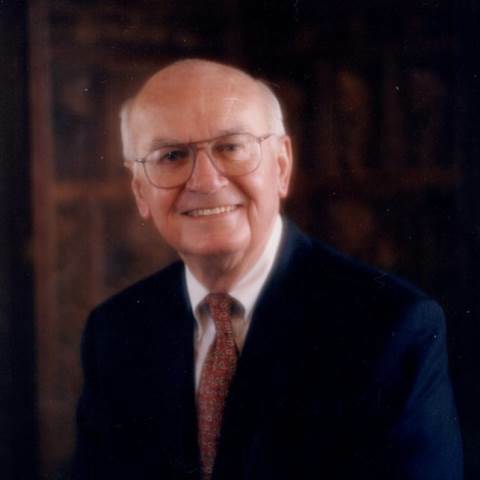 It is with sadness that I share news of the passing of Life Trustee Albert C. “Al” Briley Jr. Mr. Briley’s service to and impact on Darlington is immeasurable. In 1973, when Darlington made the decision to begin enrolling female students, Mr. Briley was chairman of the Board at Thornwood School. This was a time of challenge for both institutions, and merging the schools had been discussed. As I read the history of that time, it's clear to me that decisions were made with the best interest of students in mind. The leadership of Mr. Briley and others in the community was exceptional and an example we strive to follow in our decisions today. Following the merger, Mr. Briley became a member of the Darlington School Board of Trustees and was named chairman in 1977. His time as chair included final payment to contractors on the Zelle Fine Arts and Campus Center; the departure of Gordon Bondurant as president of the school; and the search for his replacement, Jim McCallie. As a result of his outstanding service to both Thornwood and Darlington, Mr. Briley is one of a highly selective group of non-alumni to be named Life Trustee of Darlington School. Al Briley was a true servant-leader known for his generosity, integrity, and ability to get things done. His family legacy at Darlington is extraordinary and continues through today. As a community, we are grateful for his service and for the example he set. Click here to read more about Al Briley Jr.'s life and accomplishments. A special committee of the Board of Trustees of Darlington School composed of Ellis Hale, Charles Hight, W. T. Maddox, and Gordon E. Bondurant, and a committee of Thornwood School, composed of A. C. Briley Jr., Harold Storey, and Dr. Charles Hawkins, have explored in detail the impact upon Thornwood School of Darlington School’s discussions. The two committees have unanimously agreed to submit the following recommendations to the Board of Trustees of the two schools. I. Combine the school operations of Thornwood and Darlington as soon as possible, preferable by September, 1973. II. Integrate the Thornwood faculty and Board of Trustees with the Darlington faculty and Board of Trustees of Darlington as soon as feasible. III. Keep the present Thornwood campus as the “Thornwood Campus of Darlington School” and use it for such purposes as may be determined after more detailed study. IV. The entire administration would be under one Board of Trustees and one president. V. Gordon Bondurant would be retained as president and chief executive officer, and Dr. Charles Hawkins would be retained as headmaster. The prime responsibility of the Headmaster would be internal affairs of the school, with specific job descriptions to be prepared as soon as possible.